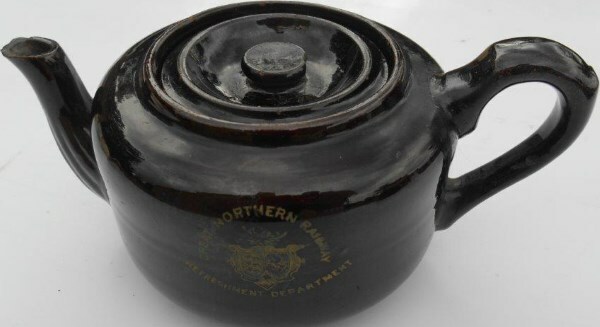 Lot 25B Great Northern Railway Refreshment Dept. – with shield. Round Brown teapot 3 ins high – small chip on spout and handle. VGC.